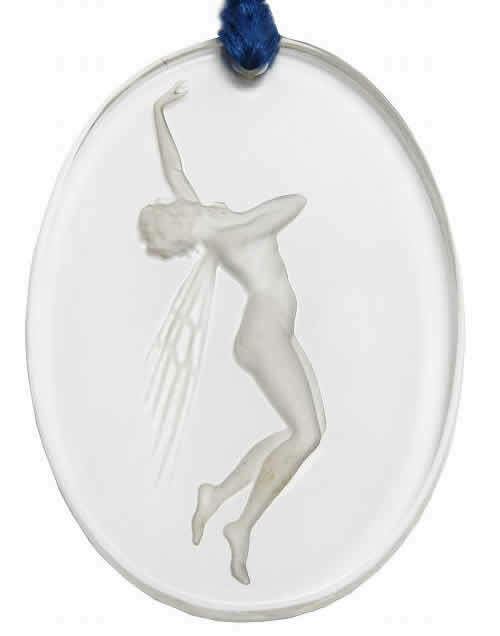 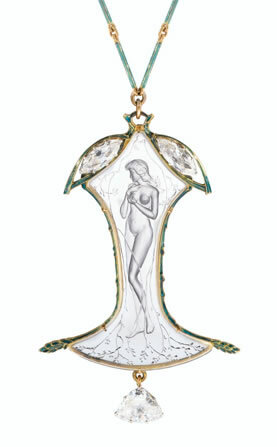 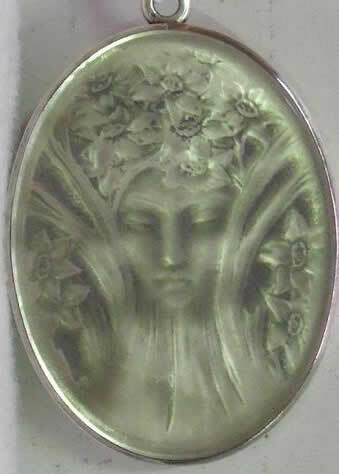 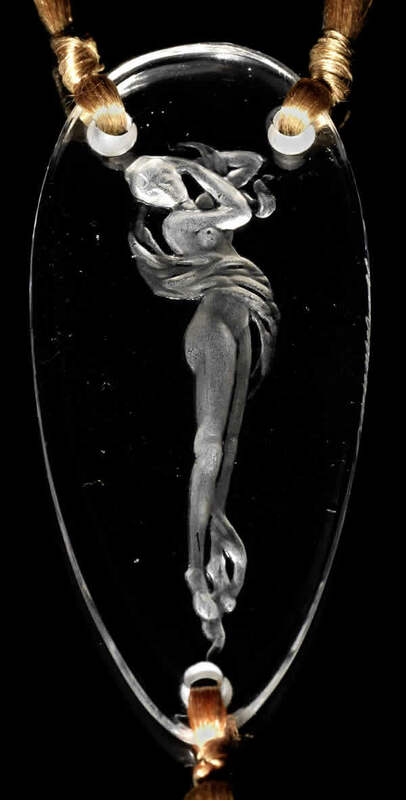 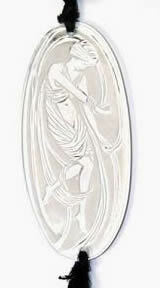 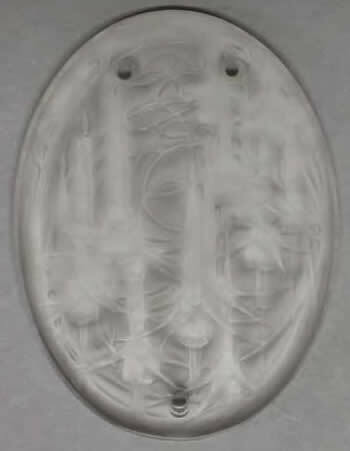 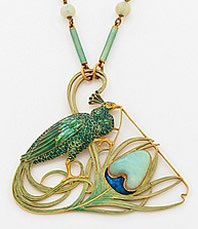 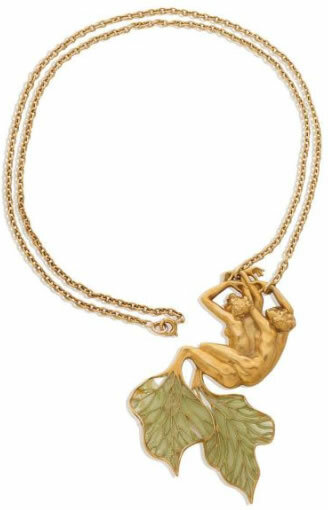 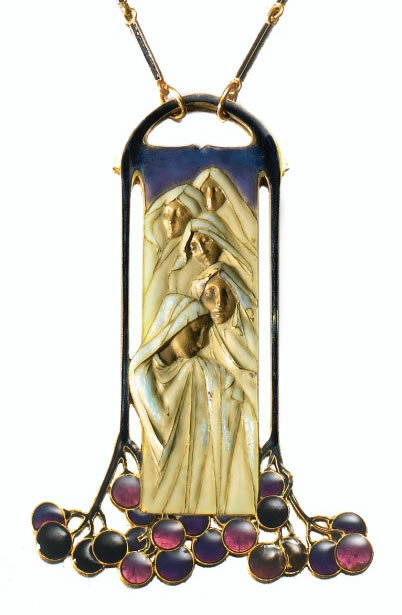 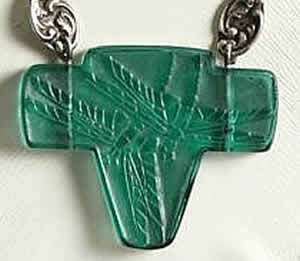 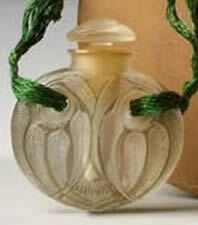 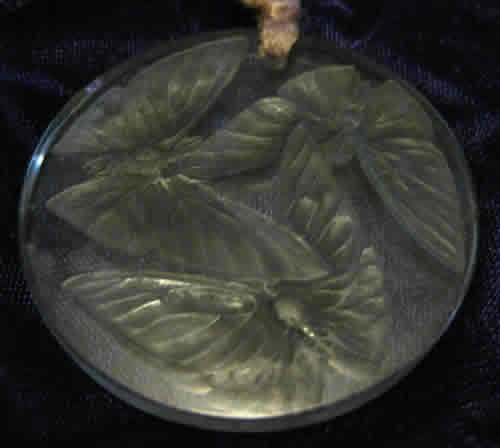 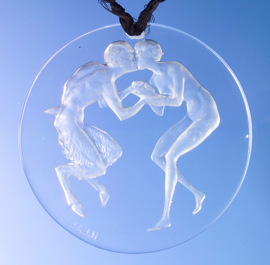 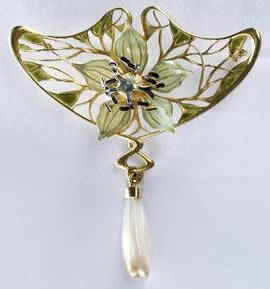 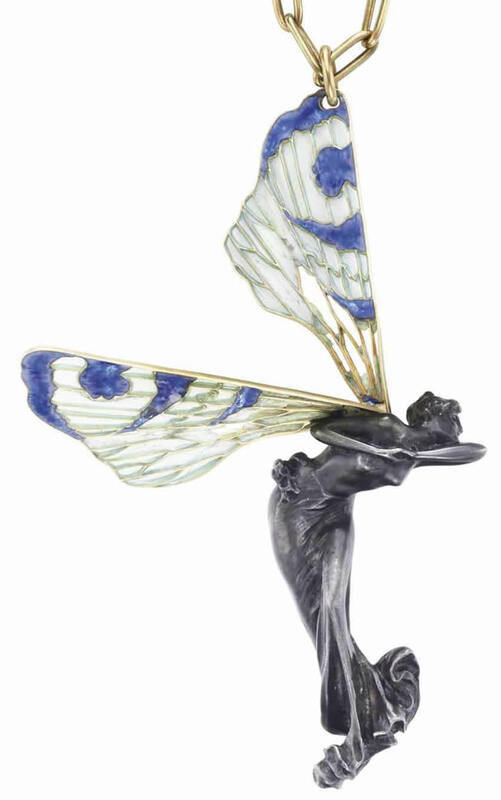 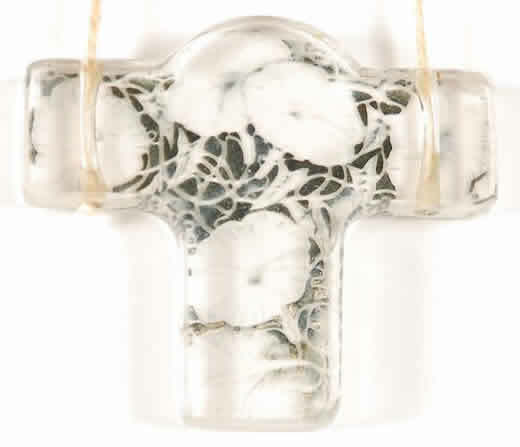 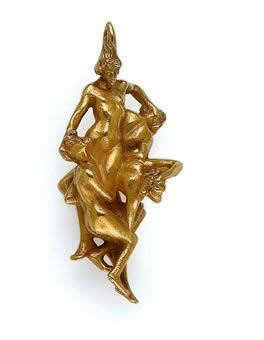 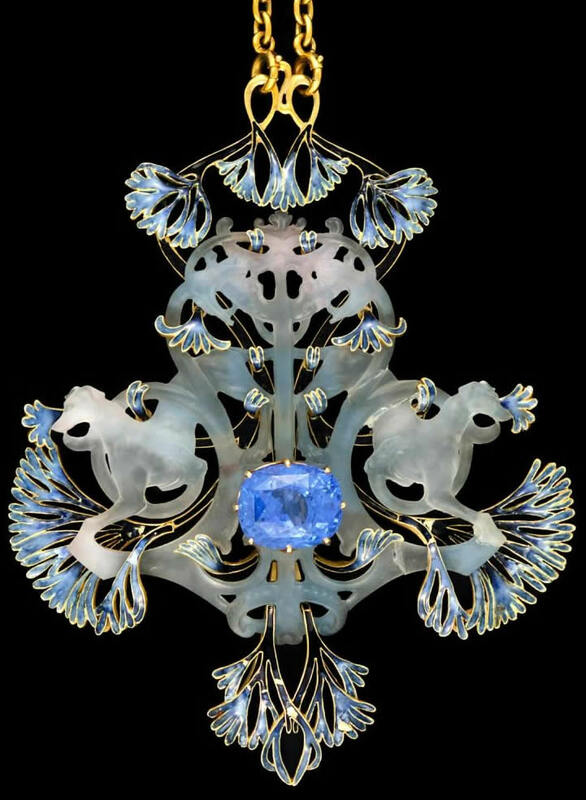 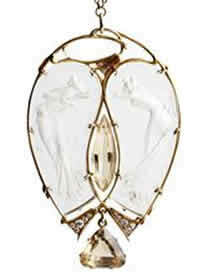 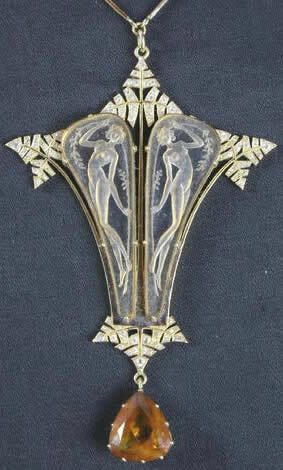 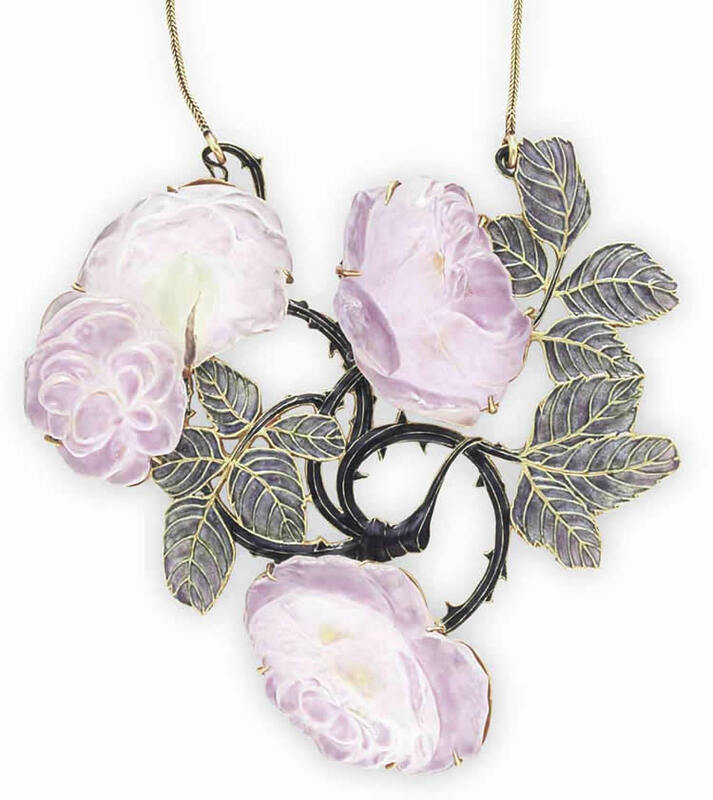 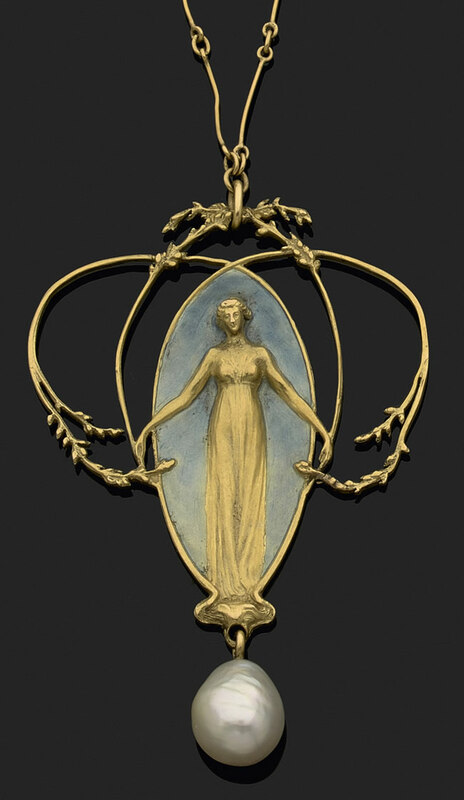 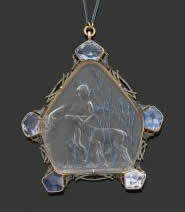 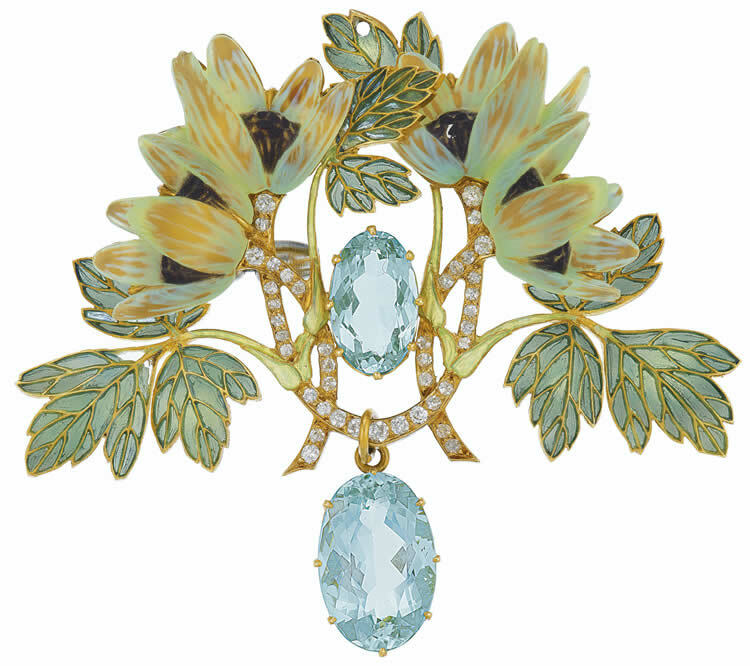 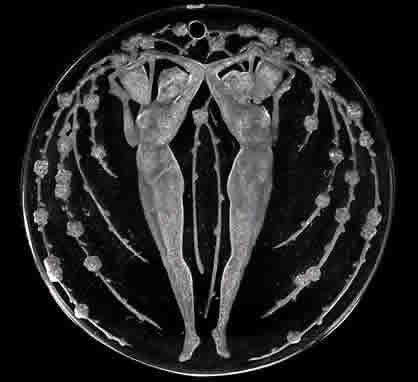 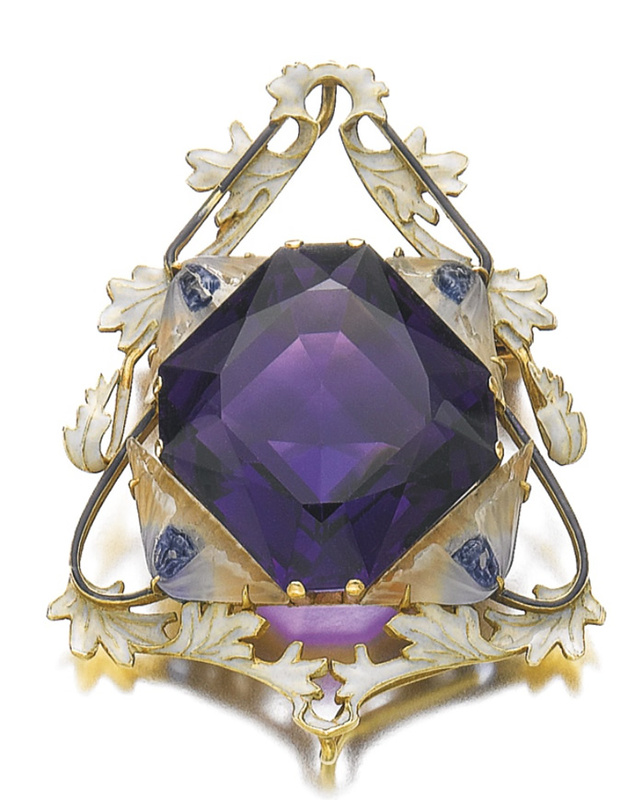 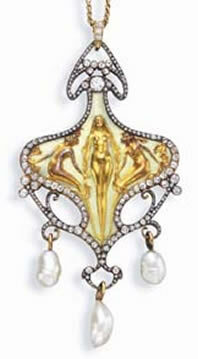 Rene Lalique Pendants: On this page is an example of each model Lalique Pendant in our database. 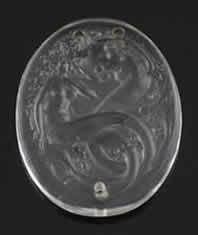 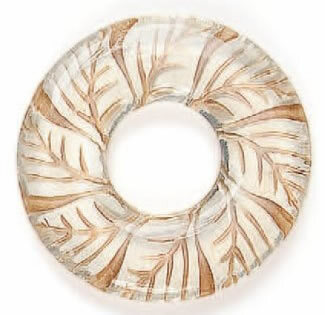 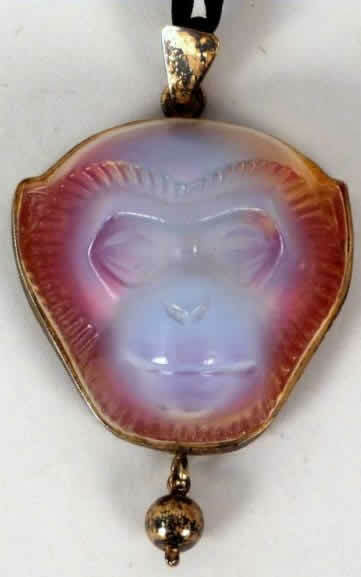 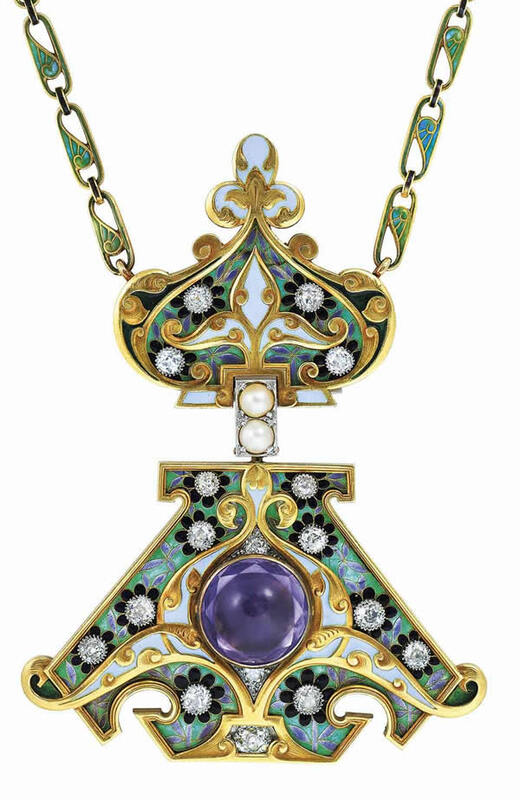 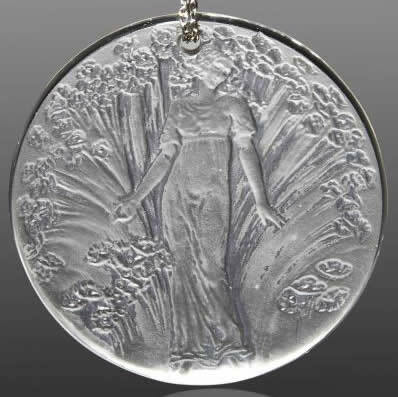 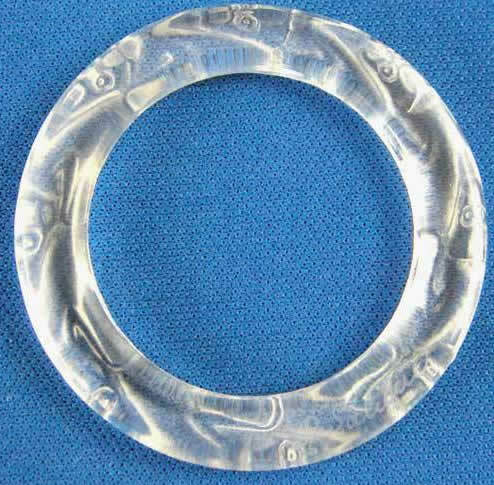 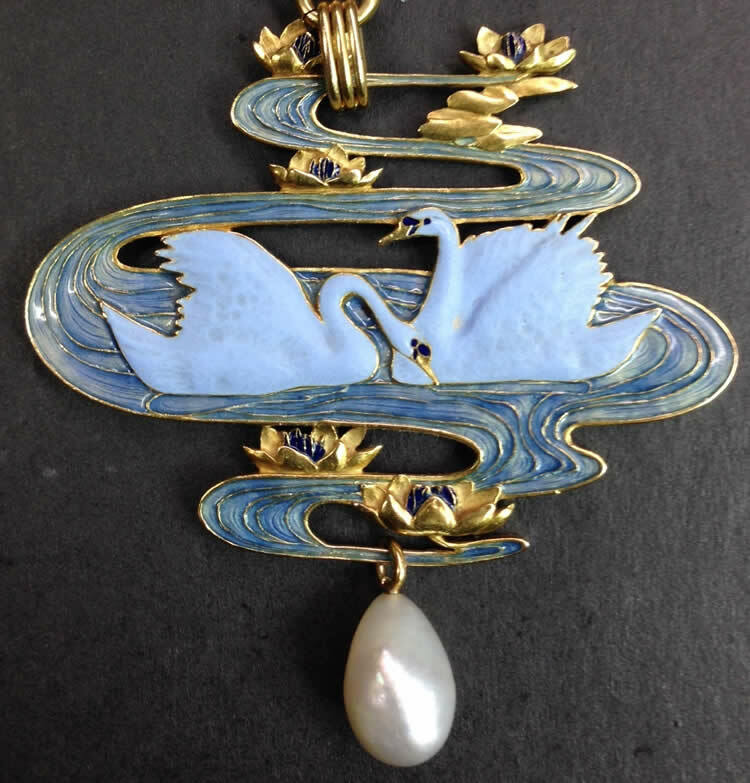 For commerical pendants the linked photo and text will take you to a main page for that R. Lalique Pendant where you can access all sales of that model and other relevant information on the website. 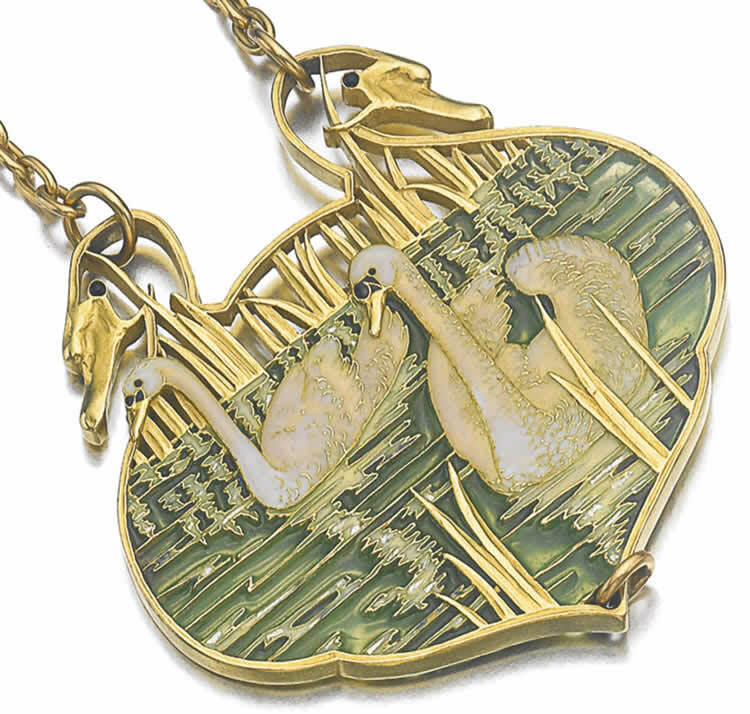 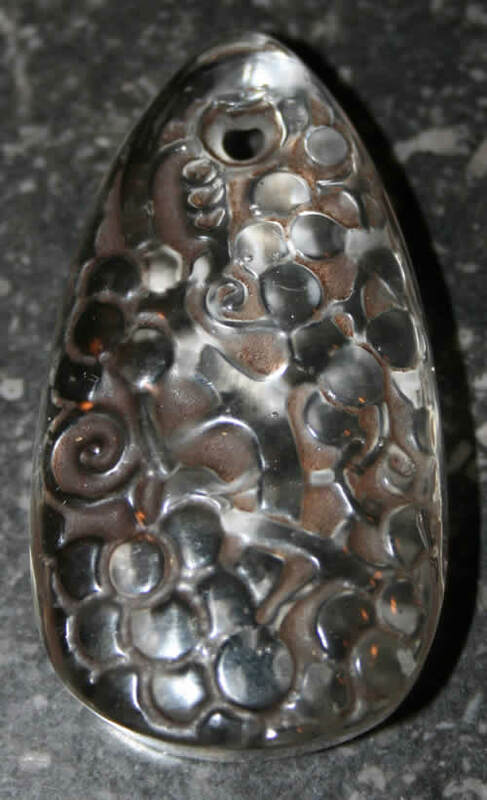 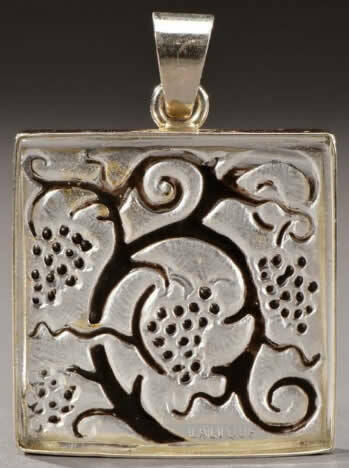 Unique pendants link straight to the individual listing unless the pendant has come up more than once at auction. 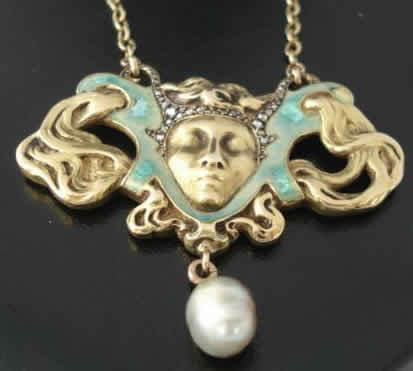 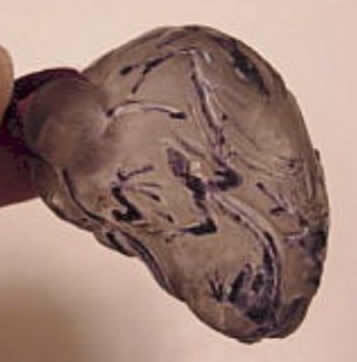 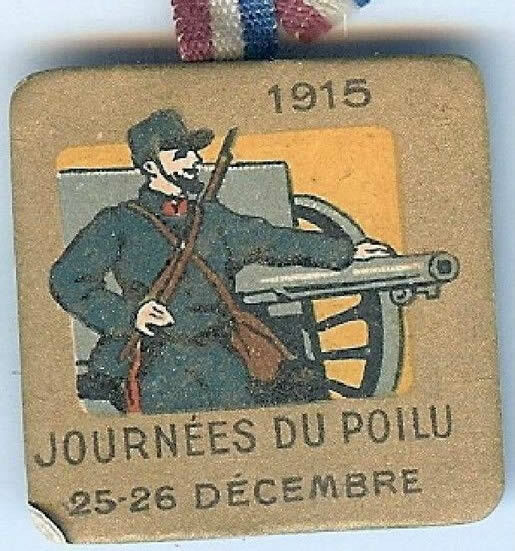 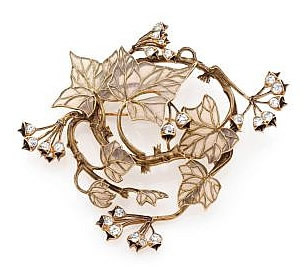 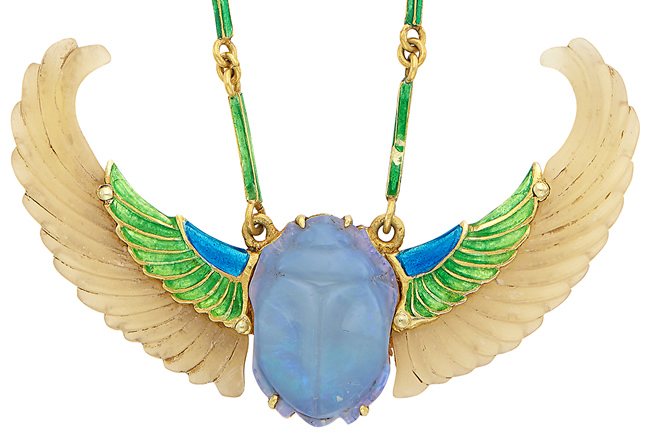 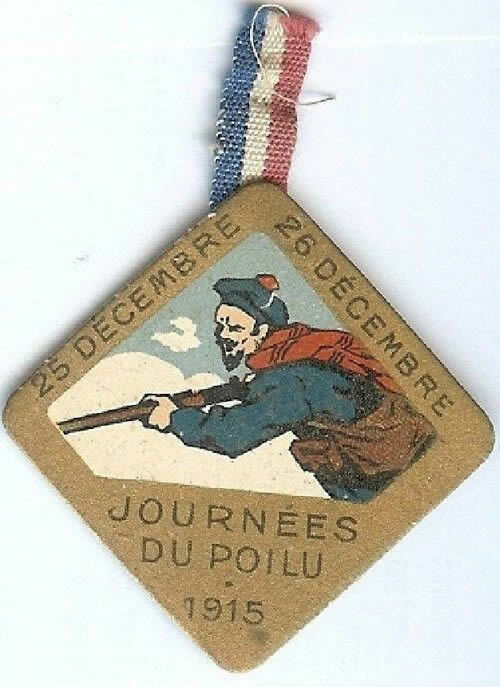 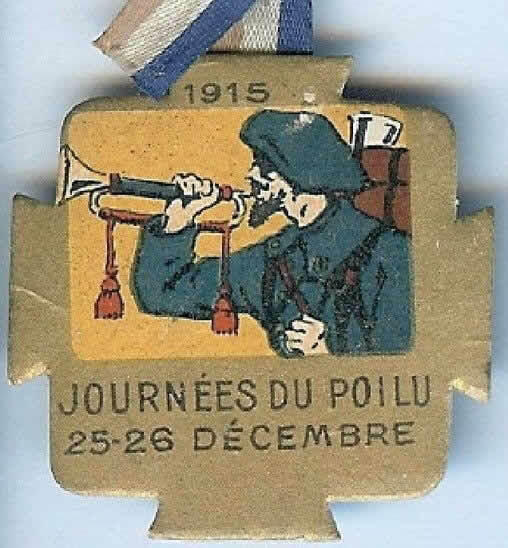 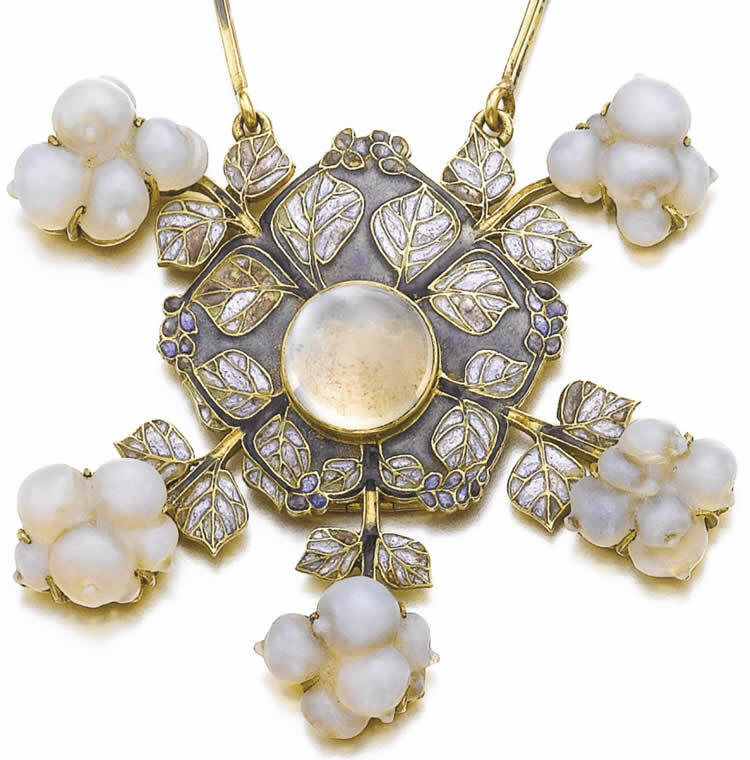 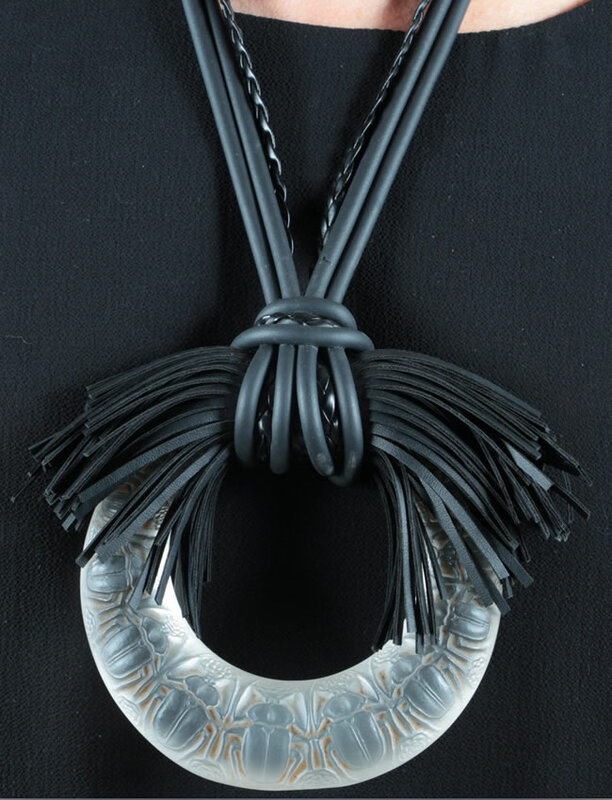 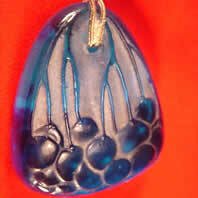 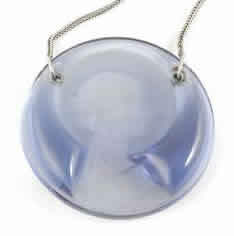 Pendants are also referred to by the French word Pendentif. 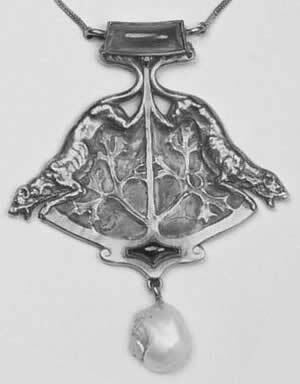 Note: Any small perfume bottles in the form of pendants not shown here are found in the Perfume Bottles section of this catalogue. 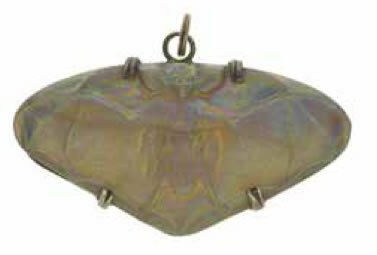 Similarly any mirror backed pendants not shown here are found in the Mirrors section of the catalogue. 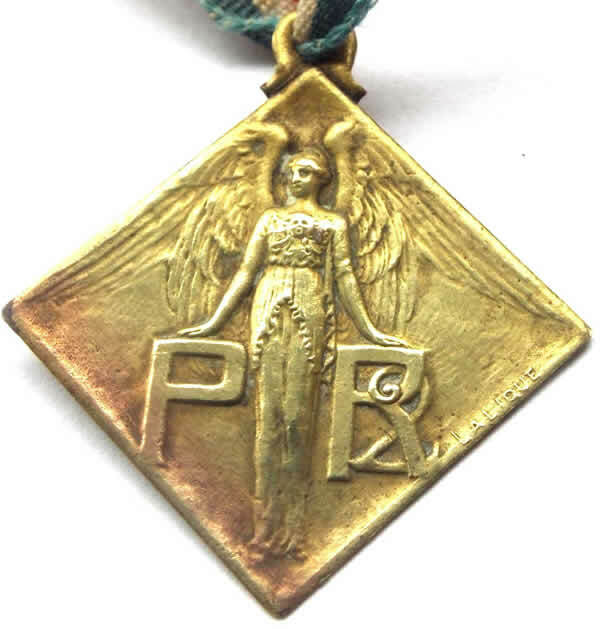 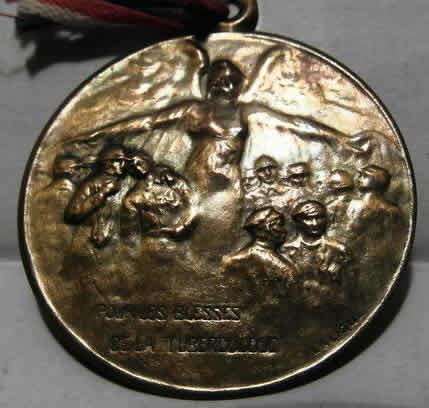 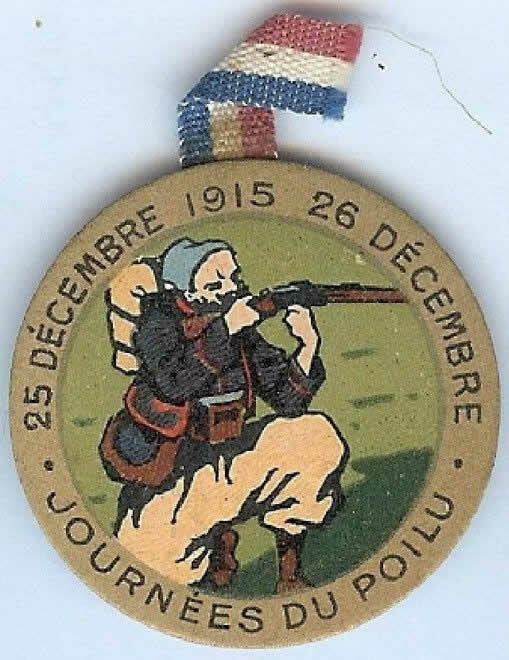 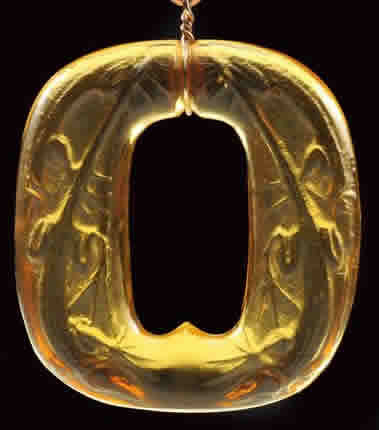 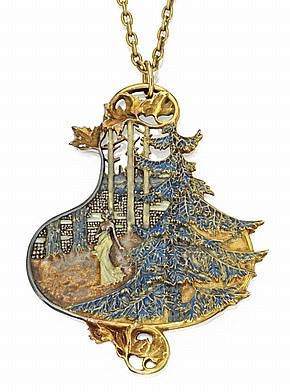 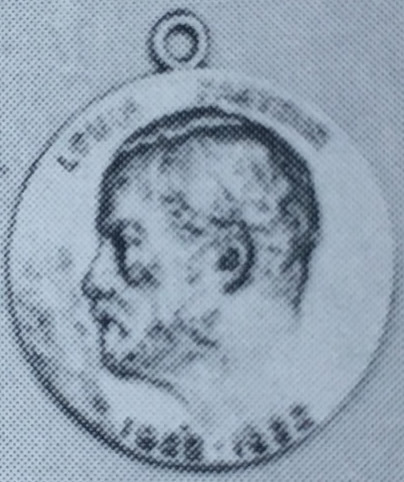 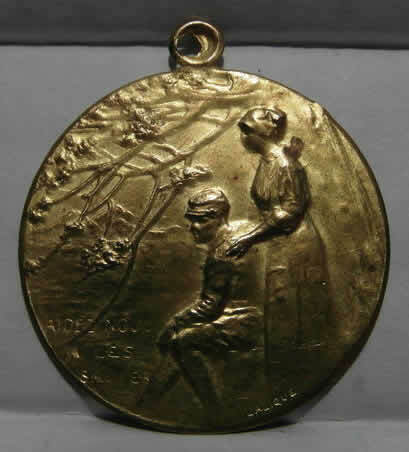 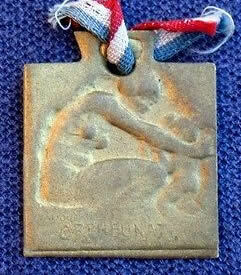 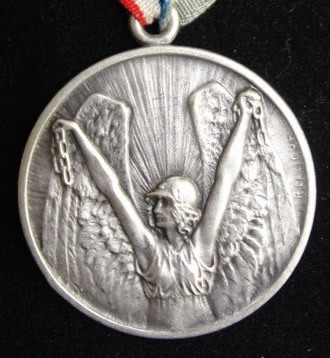 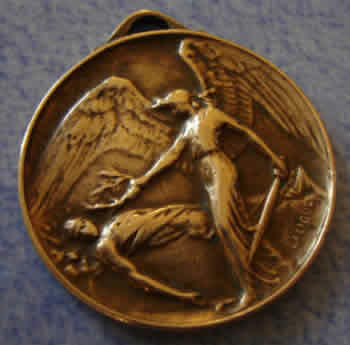 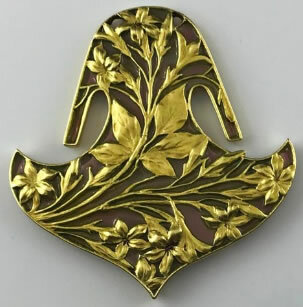 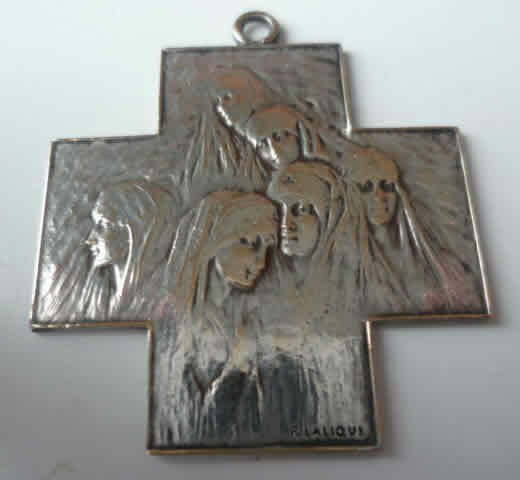 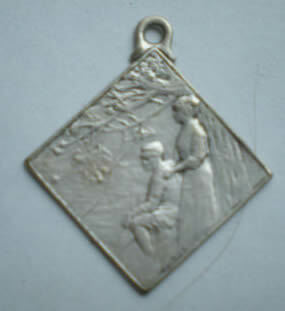 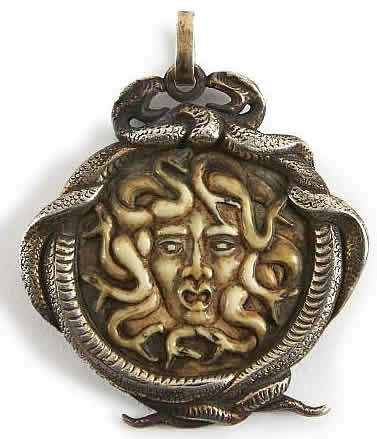 There are also pendants included with some of the Necklaces, and there are a few Plaques that likely also exist as pendants (such as the Nurses Pendant below) that have not yet appeared to be listed on this page. 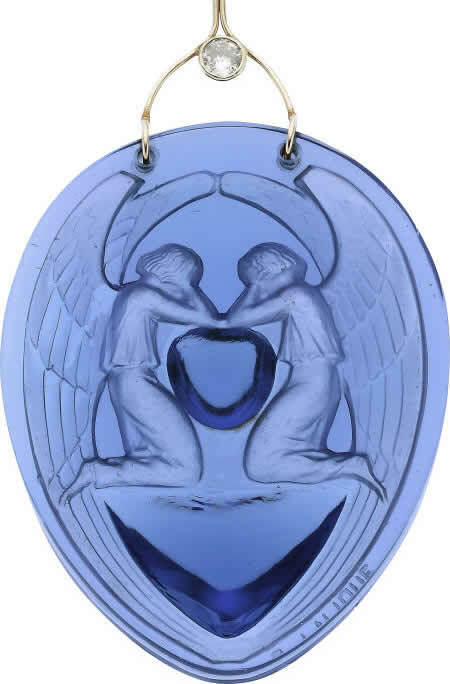 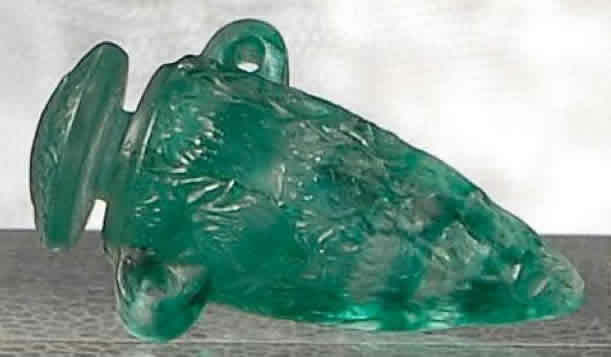 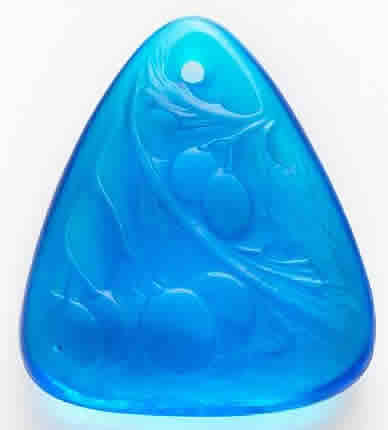 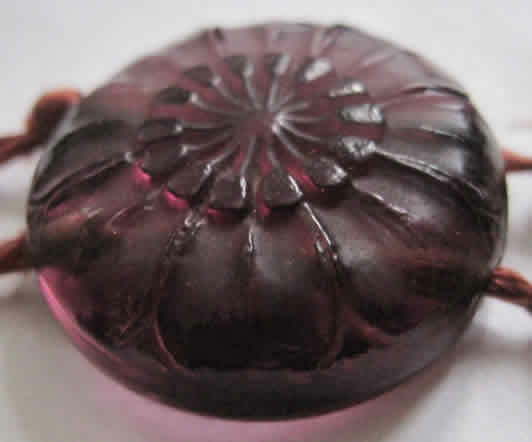 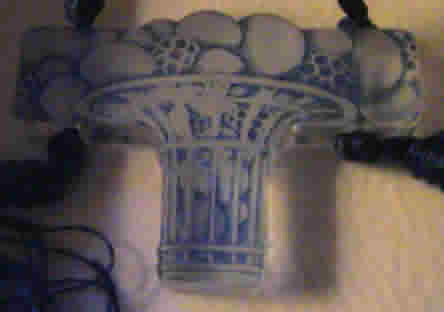 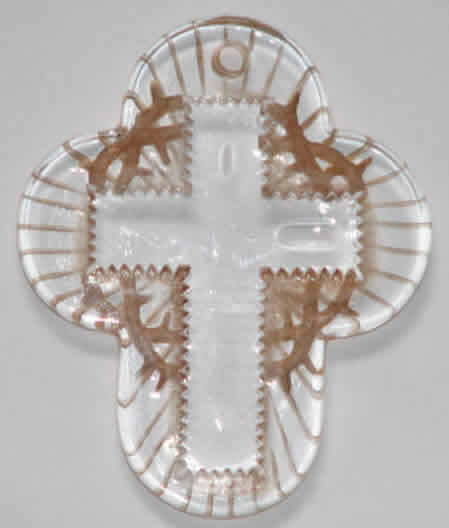 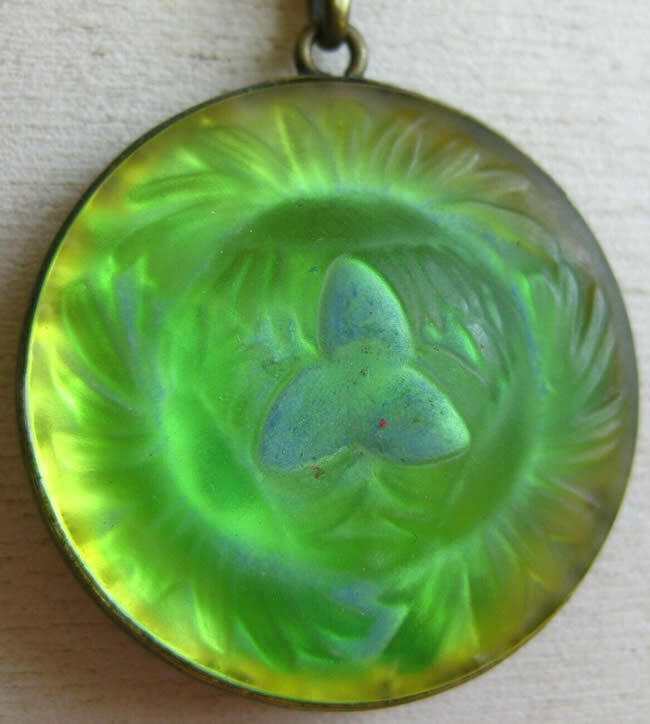 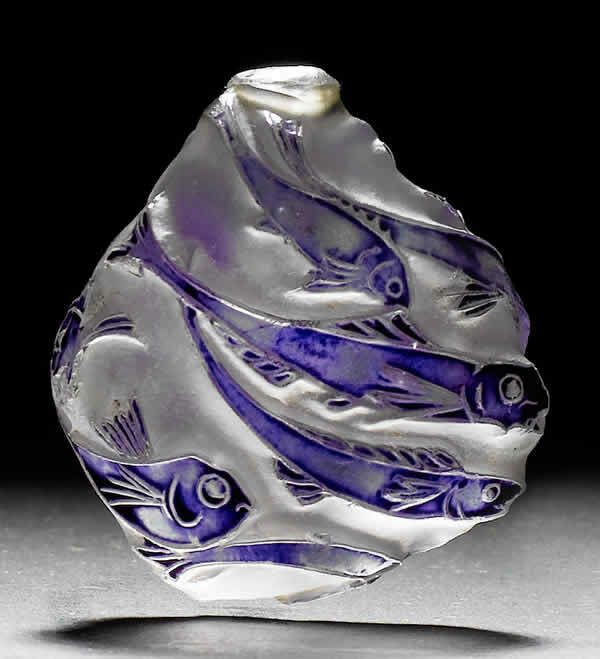 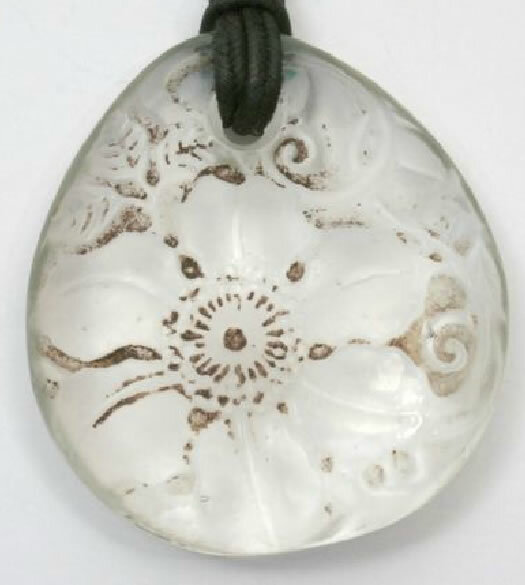 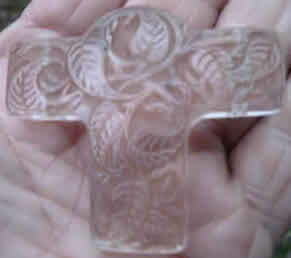 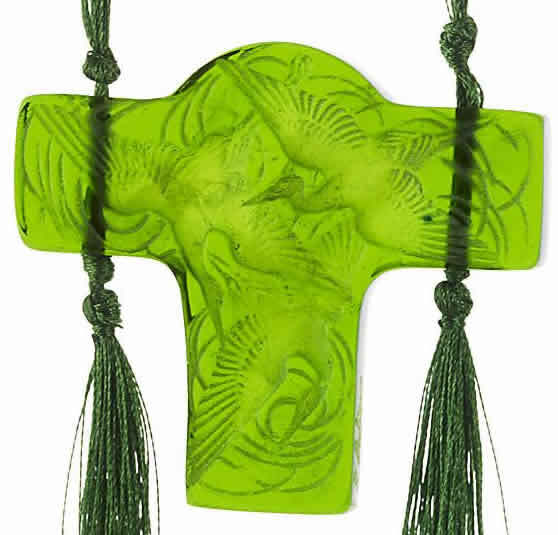 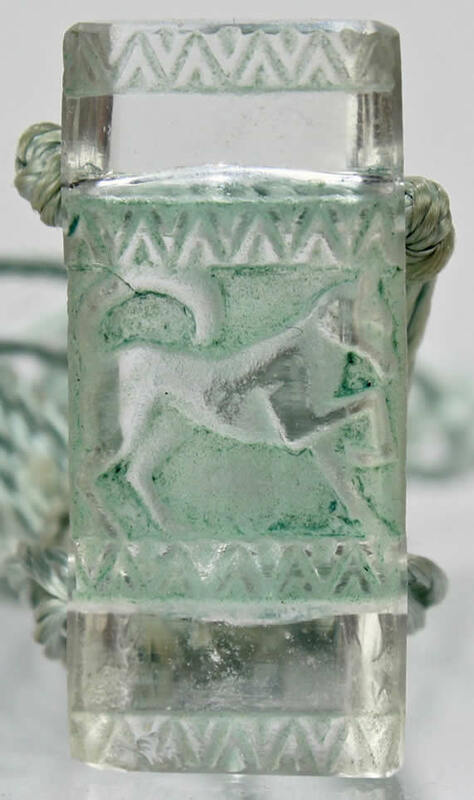 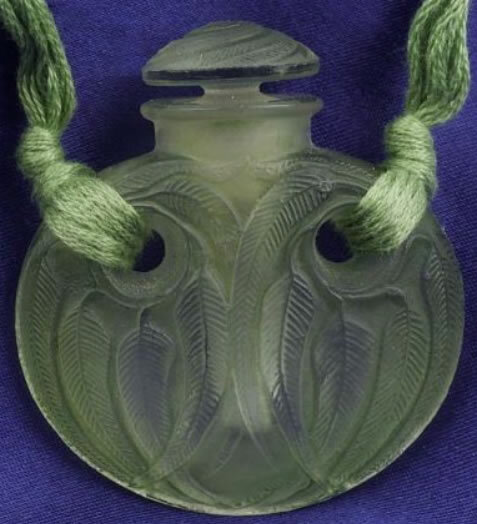 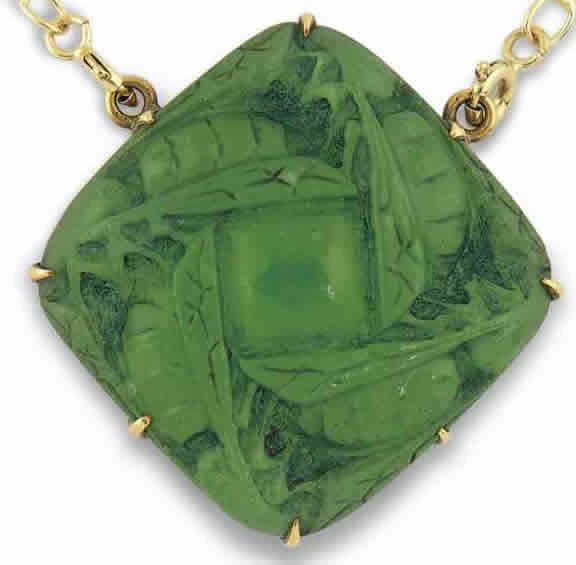 We also have included 4 pendants here that are not R. Lalique Pendants, but that appear so often attributed as such that we wanted to make it easy for people to find them and get the right information. 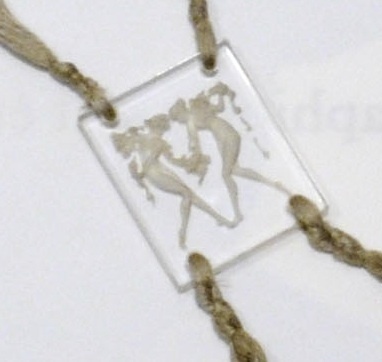 All 4 were originally hang-tags for the outer boxes of perfume presentations. 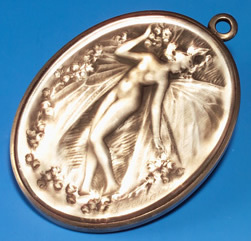 These pendants are Forest Dancer for Fioret, and all 3 Ybry pendants. 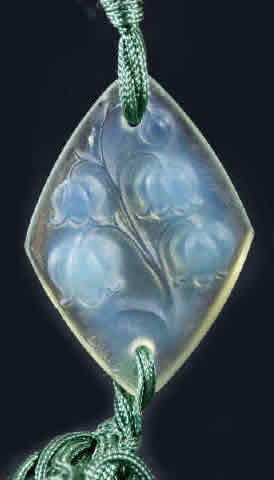 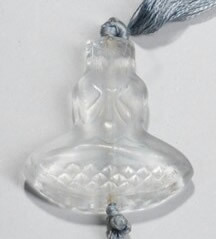 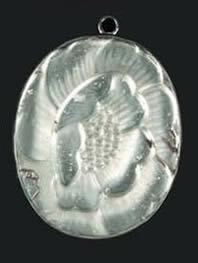 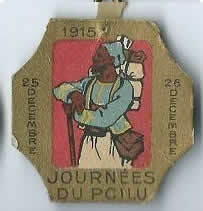 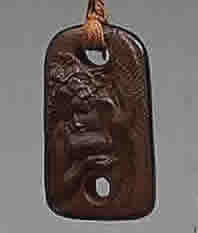 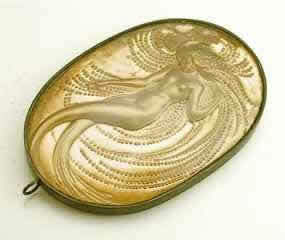 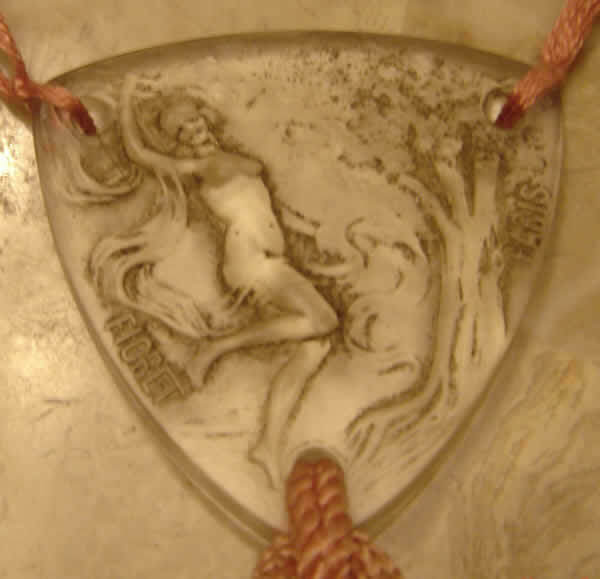 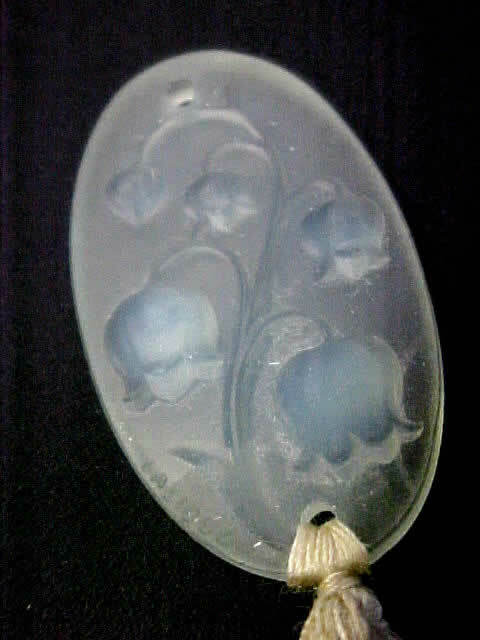 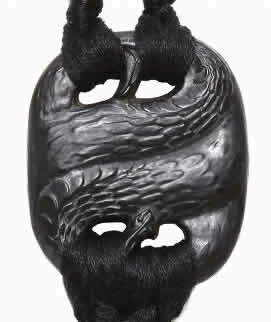 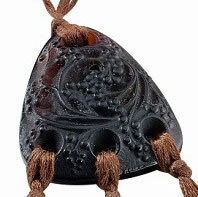 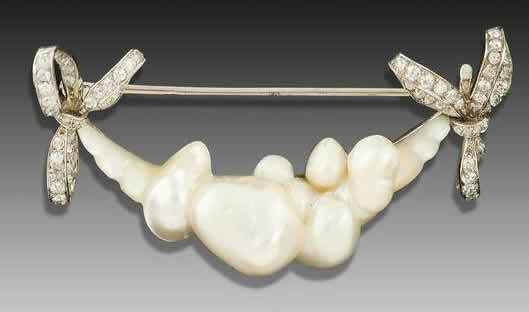 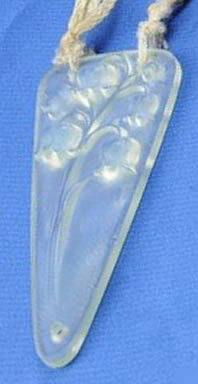 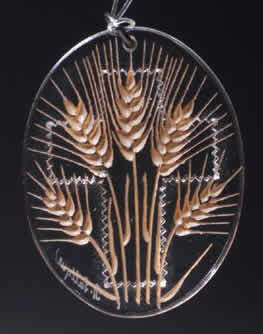 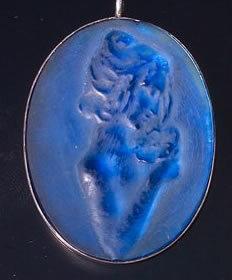 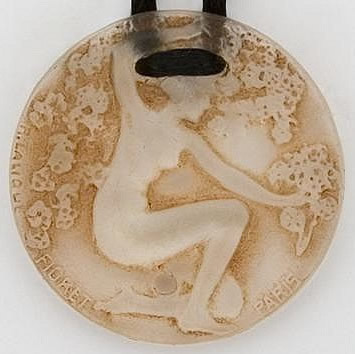 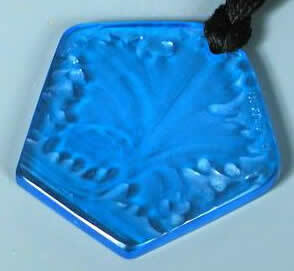 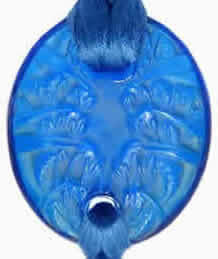 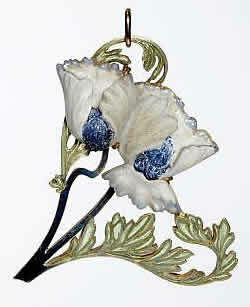 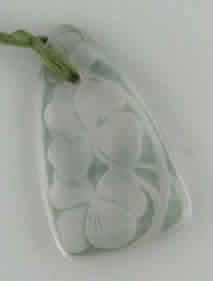 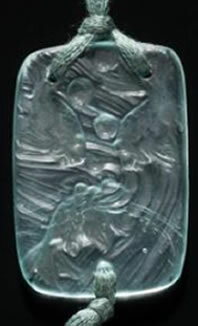 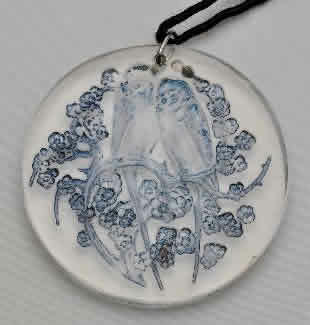 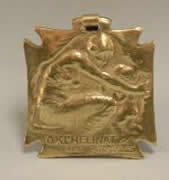 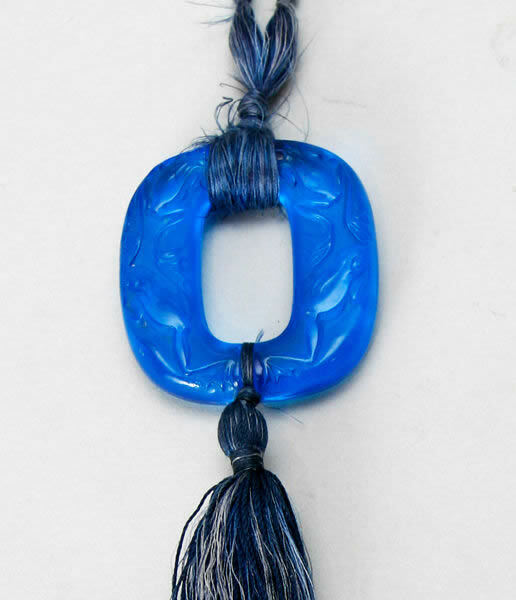 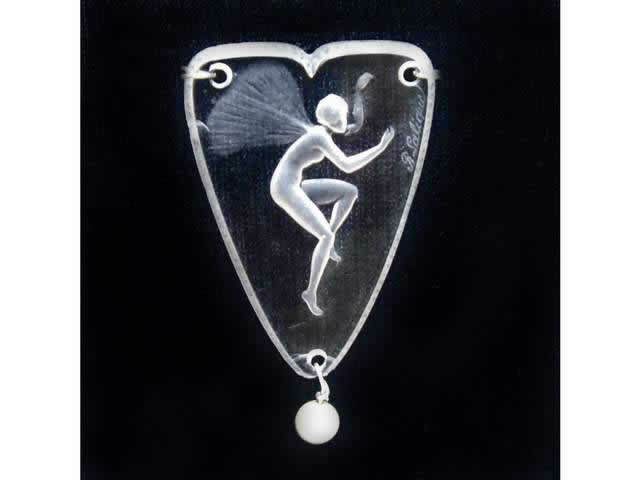 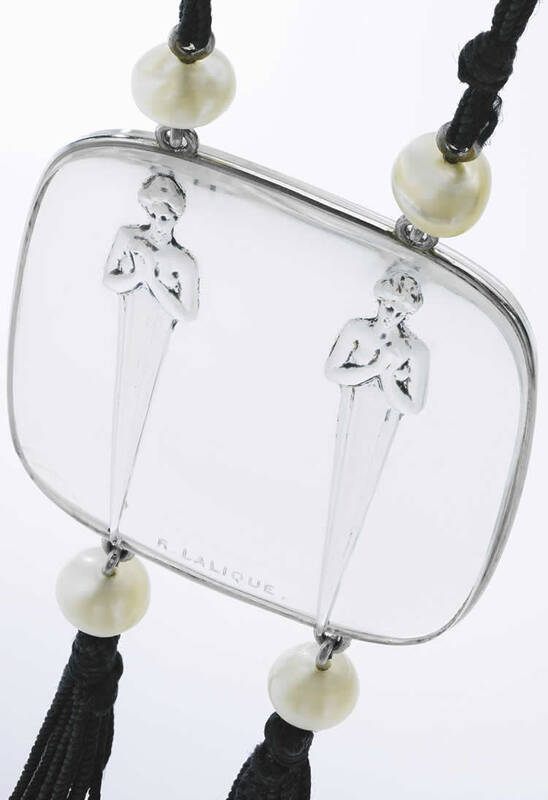 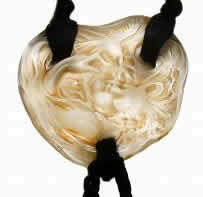 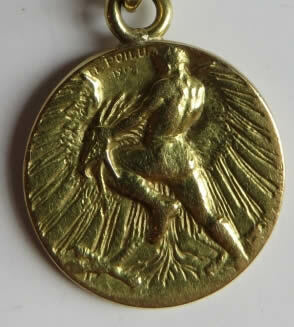 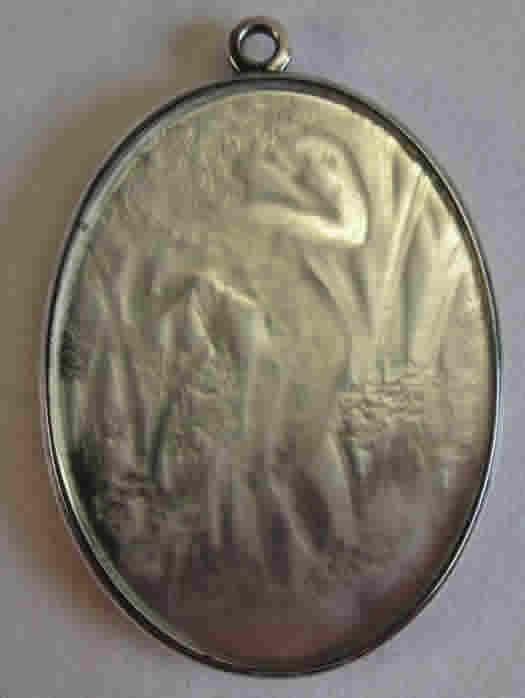 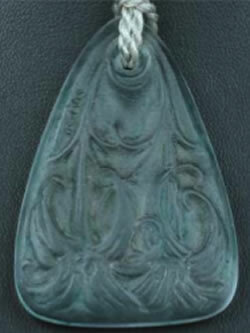 There is also the authentic R. Lalique Hang-Tag Chose Promise that often appears as a pendant and is shown here as well. 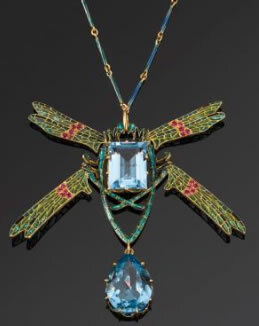 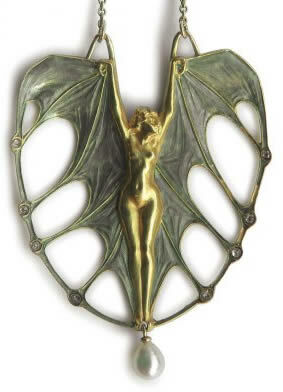 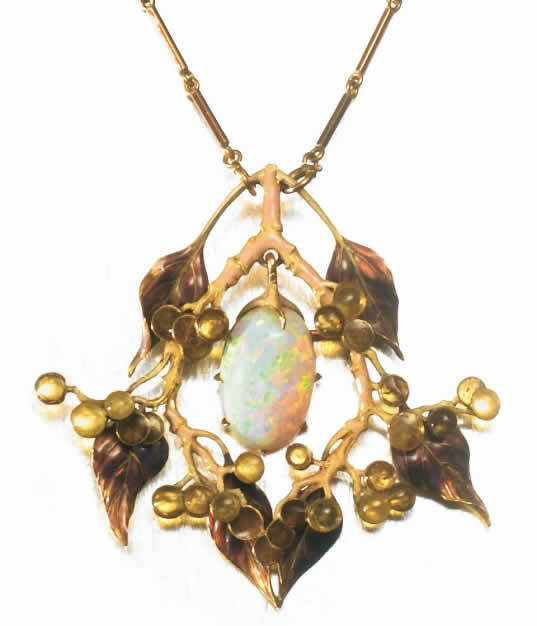 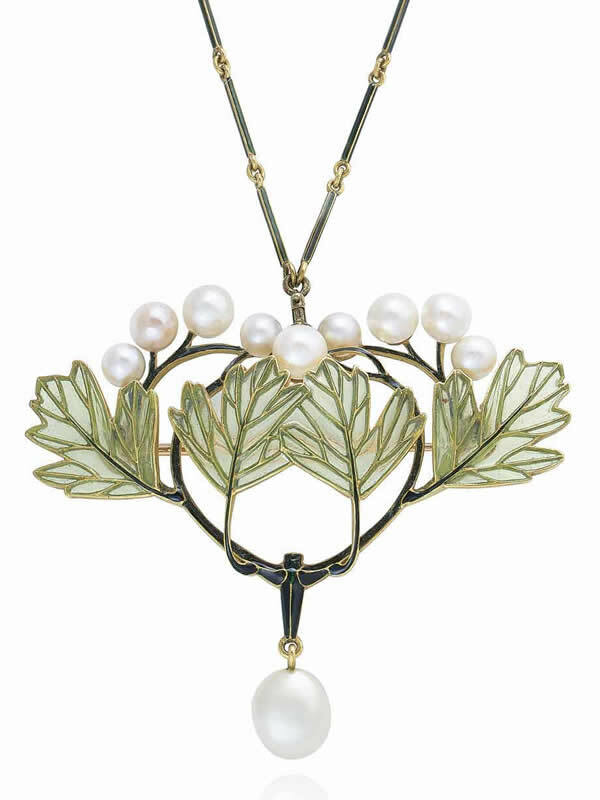 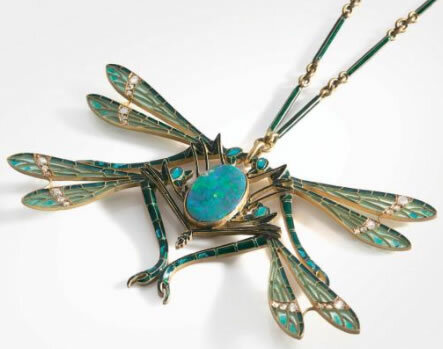 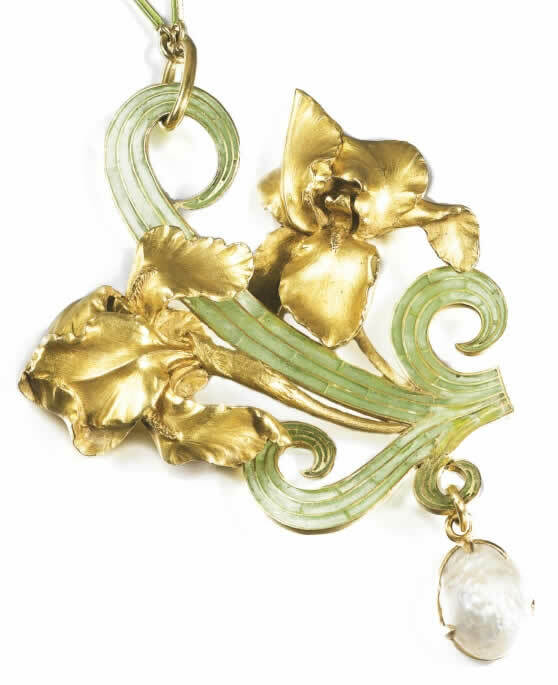 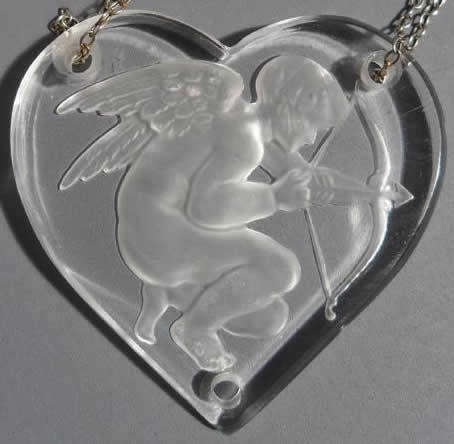 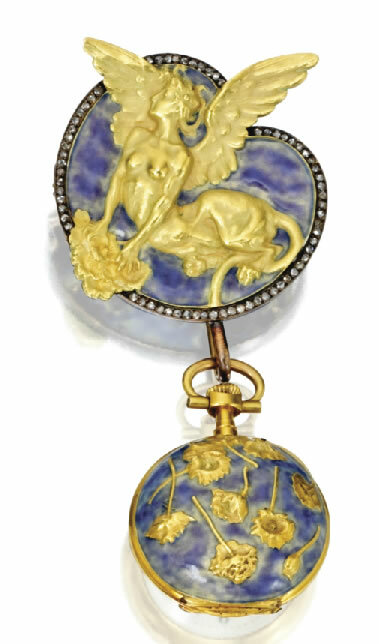 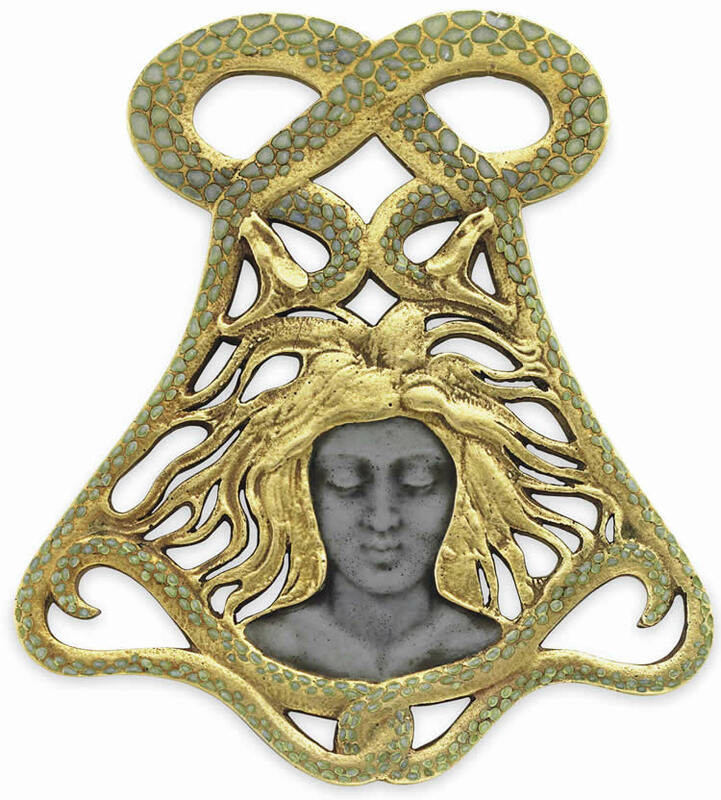 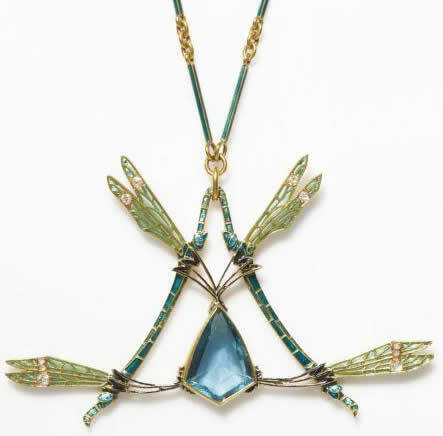 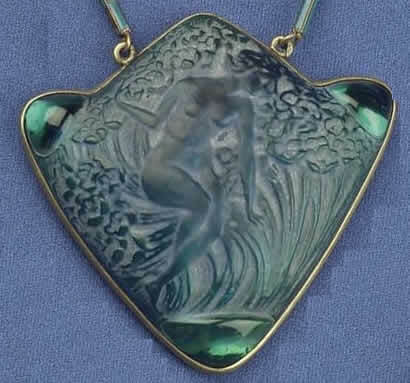 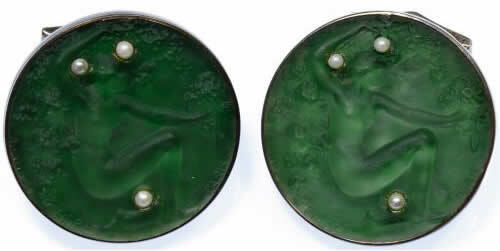 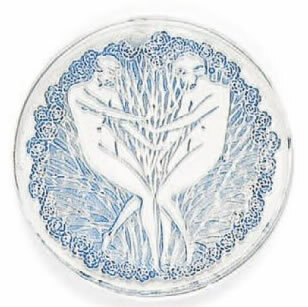 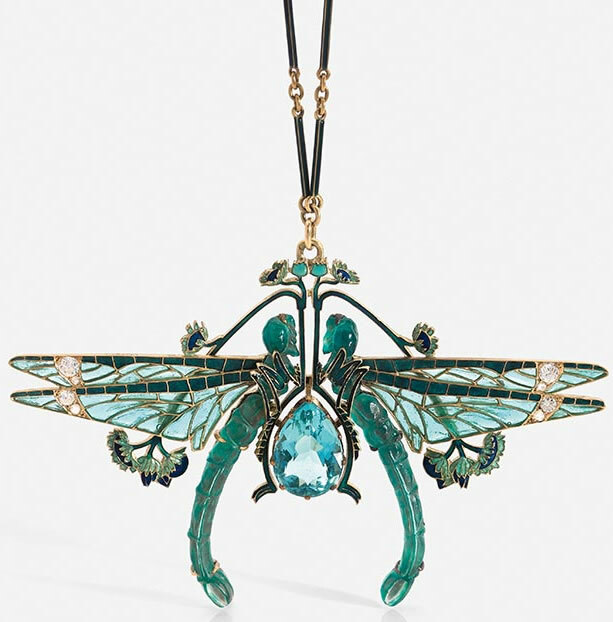 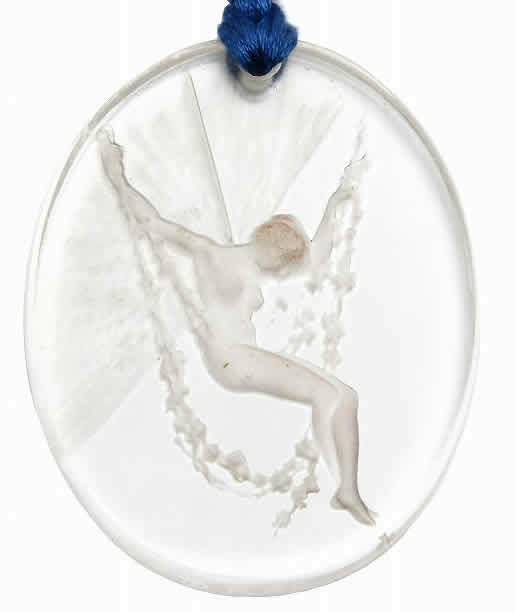 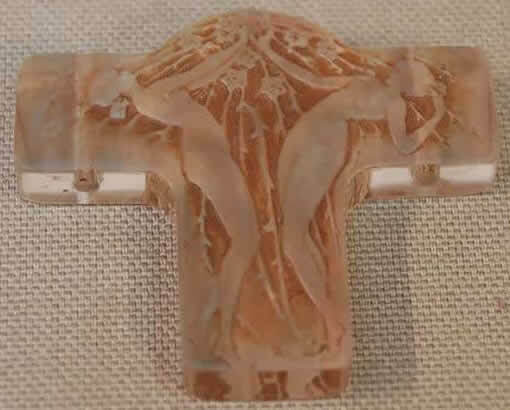 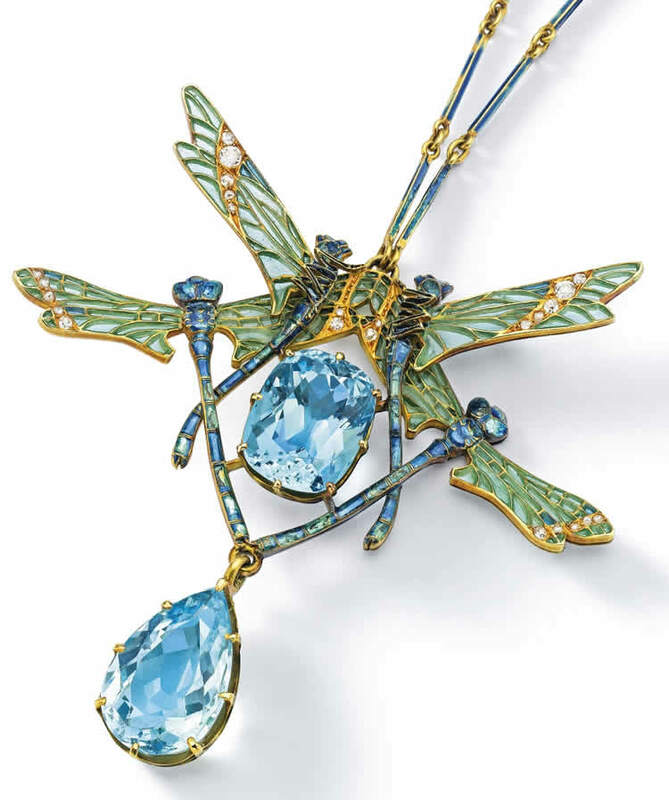 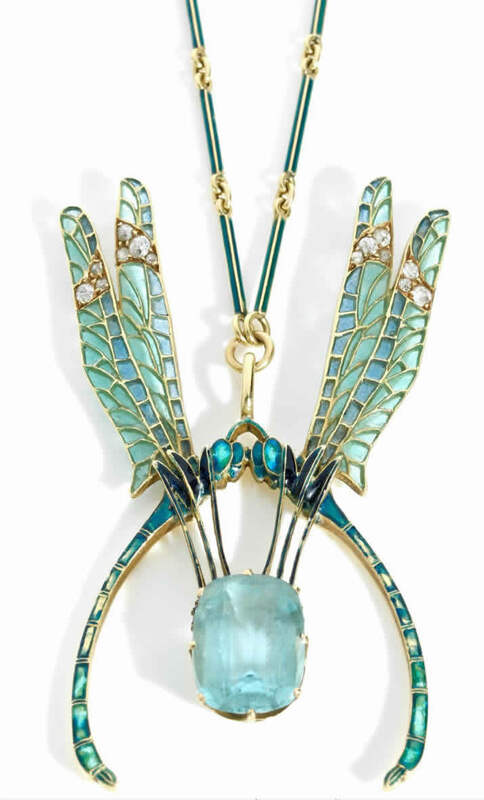 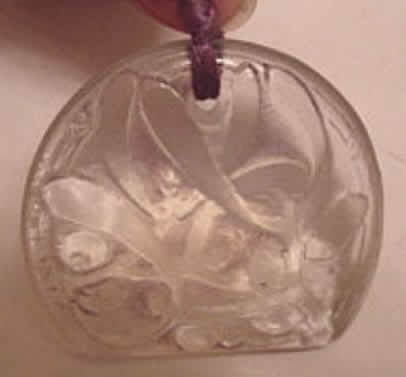 Finally, there are several pendants that were made from part of some other R. Lalique item and will be described as such on the model page for each pendant. 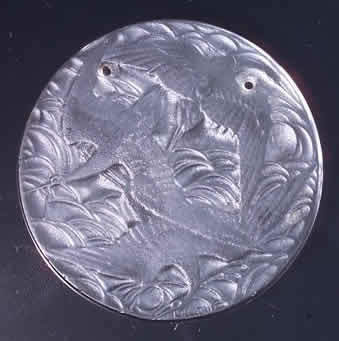 These include (but over time will not be limited to) the pendants Griffon, Madagascar, and Vezelay.